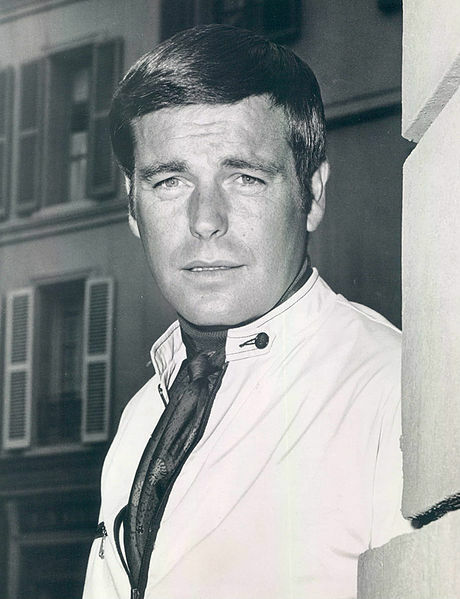 Forgotten Hollywood » Blog Archive » “Forgotten Hollywood”- Robert Wagner Tells His Side of Story! « “Forgotten Hollywood”- A Noted Distinction for Dickens! “Forgotten Hollywood”- Robert Wagner Tells His Side of Story! Robert Wagner is set to make a series of interview appearances in Florida this week as part of a three-day retrospective. Included in the discussion might be insight into the fateful night in which Natalie Wood drowned. The longtime actor will visit Stuart, Florida for a three-day event. Stuart is the locale where the couple honeymooned back in 1957, and is a popular fishing community. The setting for the series is the Lyric Theater. Robert Wagner was a popular star at MGM during the 1950s, and his movie credits include What Price Glory, Broken Lance, Titanic, The Mountain, Prince Valiant, The Pink Panther, The Towering Inferno, Midway, and the Austin Powers series of comedies. He’s best known for television roles on It Takes a Thief, and Hart to Hart. He recently subbed for Robert Osborne as a guest host on TCM, and was hired as a celebrity spokesperson promoting the idea of reverse mortgages for the Senior Lending Network. Wagner’s career was recognized in 2009 by the Pacific Pioneer Broadcasters, when they presented him with their Art Gilmore Career Achievement Award. The ticket price to this potentially candid series is $50 per day. This entry was posted on Tuesday, December 13th, 2011 at 12:44 am	and is filed under Blog by Manny Pacheco. You can follow any comments to this post through the RSS 2.0 feed. Responses are currently closed, but you can trackback from your own site.